POST AND BEAM HOMES - WHAT'S YOUR STYLE? do you WANT to getaway to the mountains? 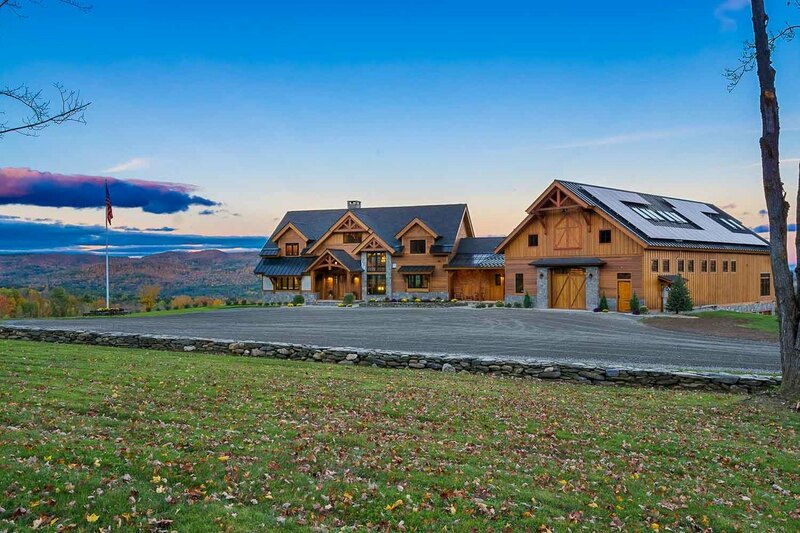 A mountain house is truly a four season getaway. Summer is perfect for escaping the heat of the city, hiking, swimming and mountain biking. Fall brings brings out the glorious colors of foliage. If you enjoy skiing, snowboarding or snowshoeing winter may be the time for you. And if observing wildlife and picking flowers are your thing, then check out the mountains in the spring! American Post & Beam's experienced designers will make sure to consider all of the details such as a big stone fireplace for gathering with family and friends, plenty of windows from which to enjoy the scenery or even a mudroom to put coats, boots and skis. All that's left for you to plan is when you can get away! Our barn style homes have the look and feel of a classic barn but with all of the modern amenities you'd want in a custom designed house. Living in an old barn designed for livestock or equipment may sound romantic but it can also present an array of challenges such as uneven floors, drafty walls, rotted wood and insect infestations. 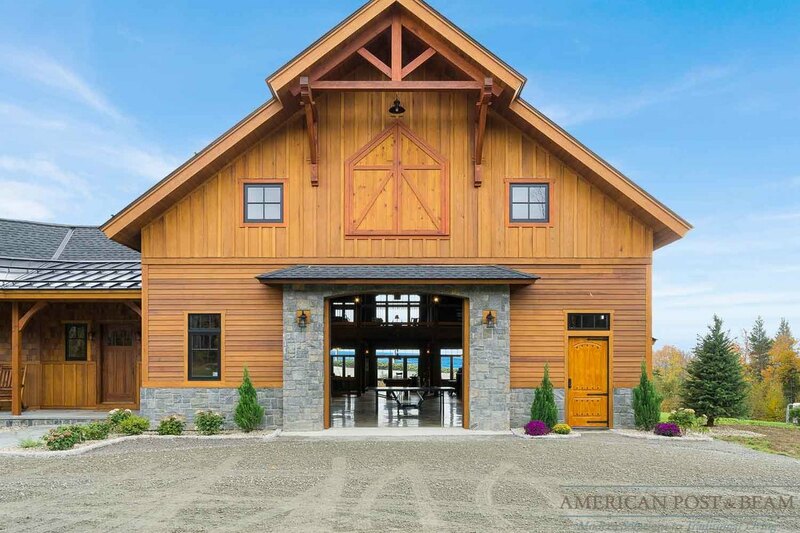 When you decide to build a custom barn style home with American Post & Beam you'll be able to enjoy the look and feel of a barn without all of the headaches. Vaulted and cathedral ceilings, wide open spaces with rustic beams and sliding barn doors are just some of the options you can incorporate into your design. DO YOU WANT A classic american farmhouse? ​Nothing says “American” like a farmhouse. A farmhouse is not really a “home style” but is truly defined by it’s location and purpose. A farmhouse is the main house located on a farm where the workers or the owners of the farm live. However, most people have an image in their mind when they hear farmhouse. ​Depending on the region, 'farmhouse style' or architecture, has many characteristics associated with it. Farmhouses were designed and built using materials native to their region. 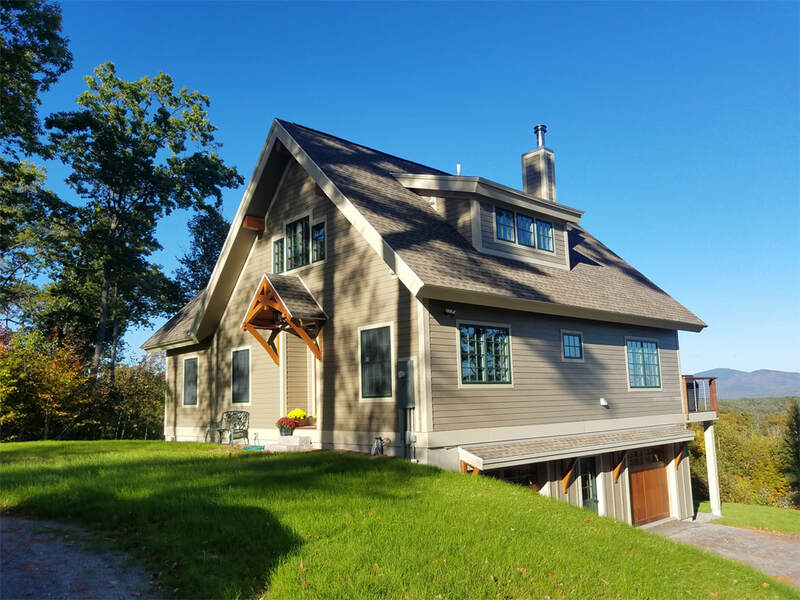 The one thing they do usually have in common is their simple, unfussy design, which is why American Post & Beam® is the perfect choice when it comes to designing and building your farmhouse. Our post and beam frames have simple, clean lines, creating open and bright living spaces. or is your style more contemporary? ​​We’ve always gotten lots of interest from people wanting a home a little more modern and contemporary than we’ve traditionally designed. In fact, that was the idea behind the TIMBERPEG® (our sister brand) home shown below. Lately, we’re getting even more interest in something that pushes the envelope a bit more. We’re still in the initial stages but our designers are currently working on some new design concepts. American Modern combines the open, airy, clean feel of a modern, contemporary style home with the beauty and craftsmanship associated with American tradition. American Modern Homes are simple, attractive, energy efficient and new. ARE YOU DREAMING OF A waterfront retreat? ​Living by the water can help you relax and forget about the stresses of everyday life. 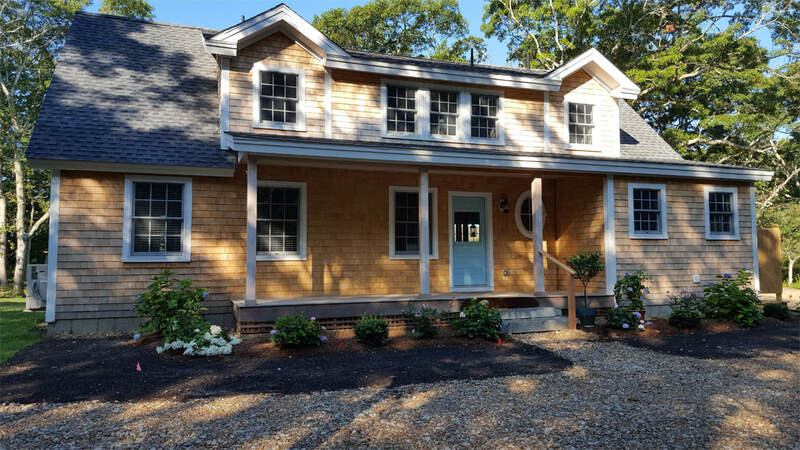 Whether you envision your waterfront retreat on the ocean, by a lake or overlooking a river, we will work with you to make the most of your location. Enjoy those views from inside with extra large windows or from outside lounging on your deck or patio. Summer will take on a whole new meaning when you can just walk right out your back door, onto your private dock and jump in your kayak or boat (without ever having to load it on top of your car or tow it behind you). Swimming, water skiing or bird watching - whatever your passion may be - we can help bring your dreams to life. Visitors will never wear out their welcome when you create a separate space for friends, in-laws, pool guests or even the occasional vacation rental. These spaces can incorporate as many, or few, of the comforts of home as you wish. From a sleeping loft to a master-suite, changing room to a full steam shower, wet bar to a chef's kitchen; we'll create a custom space that fits your needs in every way. ​can help you build your dream!